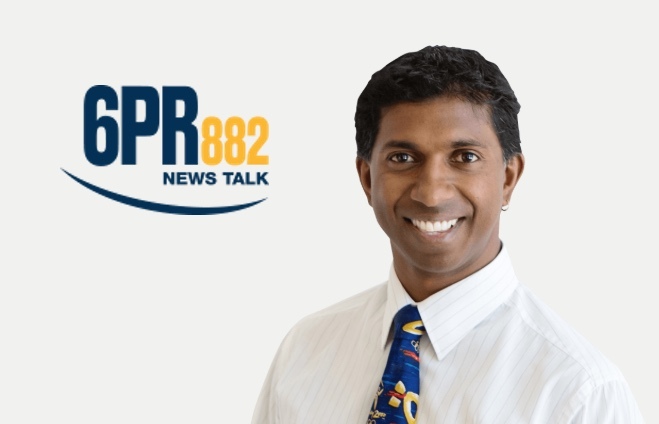 In the audio snippet below, 6PR’s Chris Ilsley interviews Suresh about common foot problems and…they also discuss the fascination podiatrists have for feet. They even bring up the topic of foot fetishists. But the main topic of the conversation is about taking better care of our feet. Chris and Suresh talk about common foot problems such as plantar fasciitis, morton’s neuroma and achilles tendonitis. But they also speak about the broader picture, and how our posture and daily habits affect our feet. At The Foot Clinic we look beyond those common symptoms, and we look at the underlying causes: posture and foot positioning. To hear the full story, click on the audio player below. Courtesy of 6PR Perth. Read more about how posture affects our feet and how we can help you improve your foot positioning at The Foot Clinic Perth.